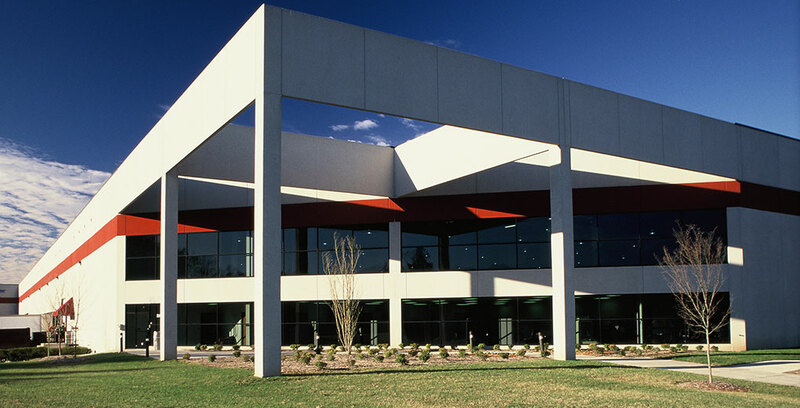 Location: Research Triangle Park, N.C. Owner: USCO Distribution Services, Inc.
USCO Distribution Center was a 300,000 SF Design/Build project constructed with a structural steel frame and insulated precast concrete wall panels. 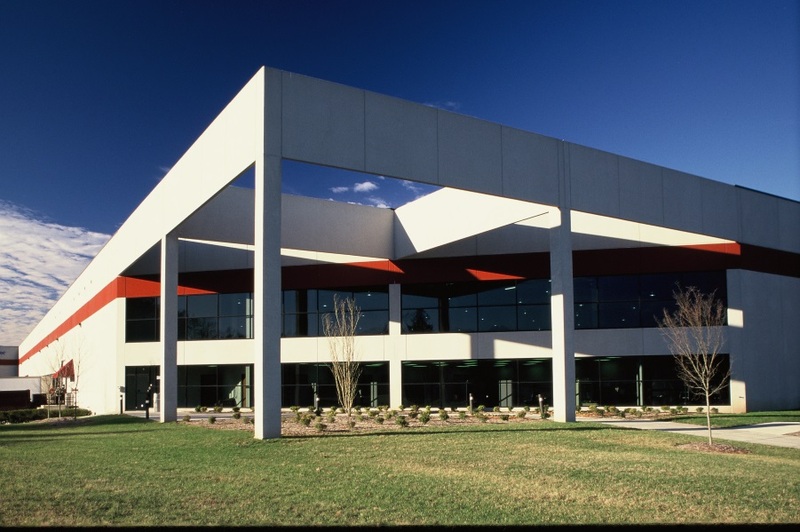 This facility included 10,000 SF of offices and 290,000 SF of climate controlled GMP distribution space, constructed to Glaxo Pharmaceutical standards. 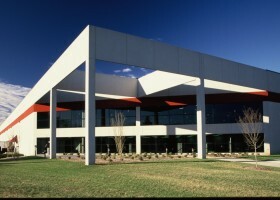 The facility boasts a highly complex HVAC system that maintained air stratification within 3 Degrees Fahrenheit from floor to roof structure of the distribution space. © Romeo Guest Associates, Inc.